Admiral Security Services are a specialist security company specialising in manned security. With 35 years of industry experience we have delivered high quality security solutions to hundreds of business and events throughout West Yorkshire and beyond. Our ultimate aim is to provide a service that gives every client peace of mind by developing a long-term partnership with you and one that delivers on its promise, total customer satisfaction. Hiring a manned guard can be extremely beneficial for your business, as they provide a visible deterrent against criminals and actively work to protect your assets. Industrial units – Warehouses and industrial buildings are common targets for thieves, as these building are usually in areas away from built up areas. Manned guarding in and around the premises are able to make sure properties are securely locked and that no unwanted person can enter the property. Manned guards act as a great deterrent for criminals and they can also notify the police of any suspicious behaviour. Events – Events are particularly important to have visible manned guarding presence – whether it be a concert, sporting event, exhibition or any other public or private functions. 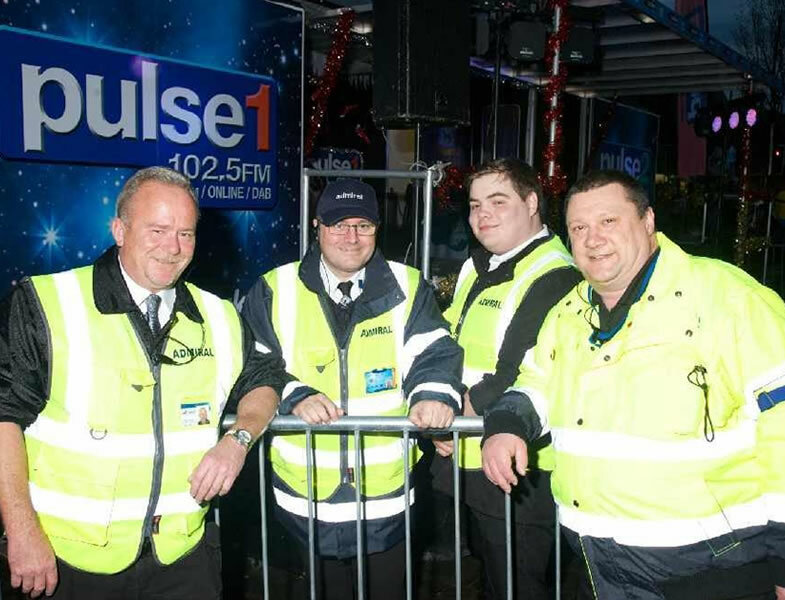 Manned guarding services ensure that the event goes smoothly, security issues are dealt with quietly and efficiently and that only those with access are to enter the function. Shopping Centres – Shopping centres are an excellent example of where a manned guarding patrol is beneficial, as these areas are the most targeted for car theft, robbery, vandalism, muggings and other forms of crime. By having manned guarding on site the decrease in these crimes taking place can be significant. We pride ourselves in making sure that all of our guards are always professional at all times including making sure that they wear the correct Admiral standard uniform and equipment. Here at Admiral we understand that our staff are at the forefront of your business that’s why we are happy to tailor uniform and requirements to fit with the clients demands and image.